Janelle In Real Life: high waisted swim! Hey friends! A series of unfortunate events have prevented me from doing outfit photos for a while (mostly crazy weather and laziness... but really it's the last one). Buuuut there will be more hopefully tomorrow! For today, I've compiled some of my most favorite high waisted swimsuits! I've got a Hawaii vacation on my mind these days so I'm all about the swimsuits. And the high waisted ones are totally my jam. I like the fuller coverage and I think it's more flattering for my body type! So hopefully you guys enjoy some of my picks. I'm really loving the black Kingdom & State one (4) and the Albion Fit floral piece (7)! And now I should probably put down this cupcake that I'm eating and go for a run or something so that I can be ready for swimsuit season. I have been obsessed with this look, but am afraid it will give me pancake arse :) Great round up! ooooh number 7 is to die for! I love high-waisted, but unfortunately they aren't so great for tanning because they give strange tan lines, haha. Super flattering otherwise though! Thanks for this post! 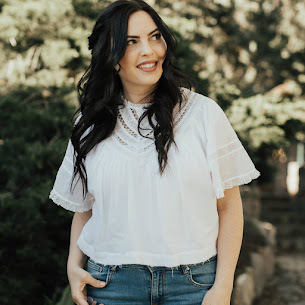 I have been contemplating trying out the high waist trend and needed some ideas as to where to start looking. You are the best!